1. My connections have always been much stronger with IDG (International Data Group) publications than with the analyst firm IDC that’s also part of the business. I’ve been a columnist for both Computerworld and Network World (the latter online-only). I’ve blogged for pay for both Computerworld and Network World. I’ve been outright interviewed by each, and quoted many times by them and other IDG publications as well. 3. Computerworld has probably always been the leading enterprise technology publication, including during the trade press’ glory years. Most memorably, pre-relational mainframe DBMS were claiming with some success to be “relational”. But when Computerworld reported Ted Codd’s “rules” for RDBMS, that was that — RDBMS were defined to be what Codd and Computerworld said they were, and the bottom dropped out of the market for DBMS that didn’t meet Codd’s criteria. 4. In line with its industry leadership, Computerworld had a classified ad section that ran dozens of pages. When I hired a research assistant in my stock analyst days, the obvious choice was to run the ad there. 5. To this day, if an ego-surf shows that I’ve been quoted in countries and languages around the world — Brazil, Australia, Iran or whatever — it’s usually something I said to IDG, which then translated and republished it around the world. I previously posted that the term Business Intelligence dates back to the 1950s, even though Howard Dresner has claimed credit for inventing it at a couple of different points in the 1980s. Now the term Business Intelligence has been tracked all the way back to 1865. I’m in Istanbul, in the second part of a two-week vacation with Linda. Last week we stayed almost completely in the old city, with our hotel being just 3 blocks from the Gülhane tram stop. This week we’re in the new part, on a hillside between Taksim Square and Kabataş. For a variety of reasons, I haven’t been as diligent about email and so on as I usually am while on vacation, and I’ve been completely unavailable for any except the most utterly urgent phone calls, of which there thankfully have not been any. But this evening, while Linda watches Muhteşem Yüzyıl in the other room, I’m in the mood to write a bit of travelogue, and post it in what among other things has become the most personal of my blogs. 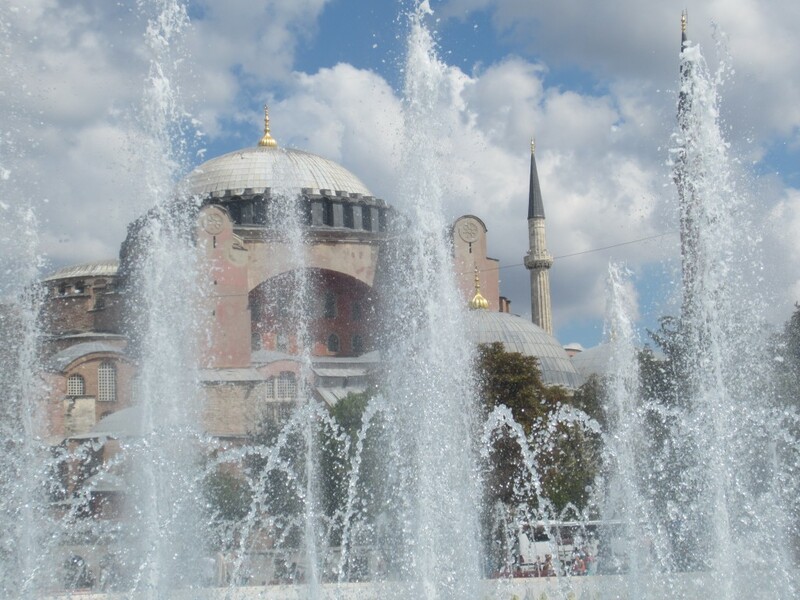 If you’ve never been to Istanbul, it must be seen to be believed. From a hills and water standpoint, imagine 10 San Franciscos, but with many of the buildings being 500+ years old. The whole thing is wrapped around the Bosphorus, in which at any moment you can see 2-3 tankers, a whole lot of commuter ferries, and generally more ship traffic than I imagine can be found in any other similar expanse of water in the world (the Panama Canal area perhaps excepted). And there are plenty of places from which to get awesome views, most notably on the water itself. If you’re ever in Istanbul, seize every pretext you can find to be out on the water. Most interesting analytic software has been adopted first and foremost at the departmental level. People seem to be forgetting that fact.